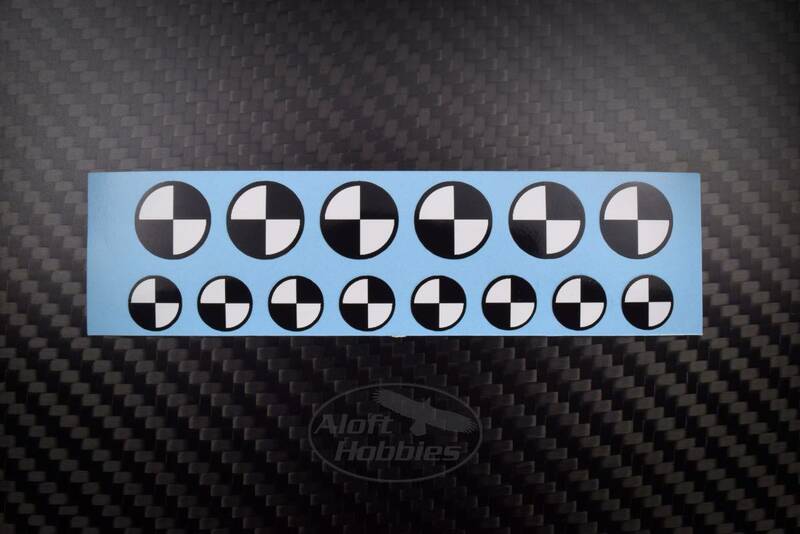 Stickers for marking the center of gravity of your aircraft. 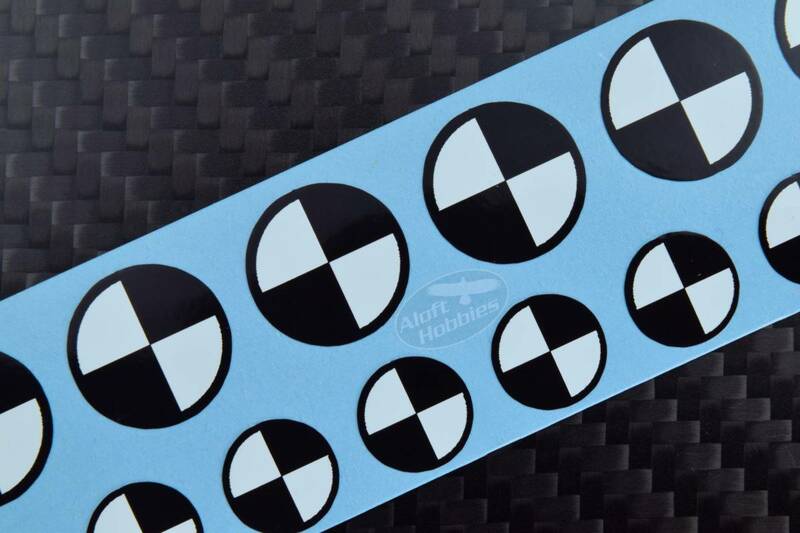 An easy way to mark your aircraft's center of gravity. A quick and easy way to reassure oneself that an aircraft is still in balance before making a flight.